Although the image below may be a bit broad when it comes to different industry segments of UX design (web presence, branding, product design, etc.) it defines the practical UX process. The process and adherence for UX is proven, very thorough, and rewarding. 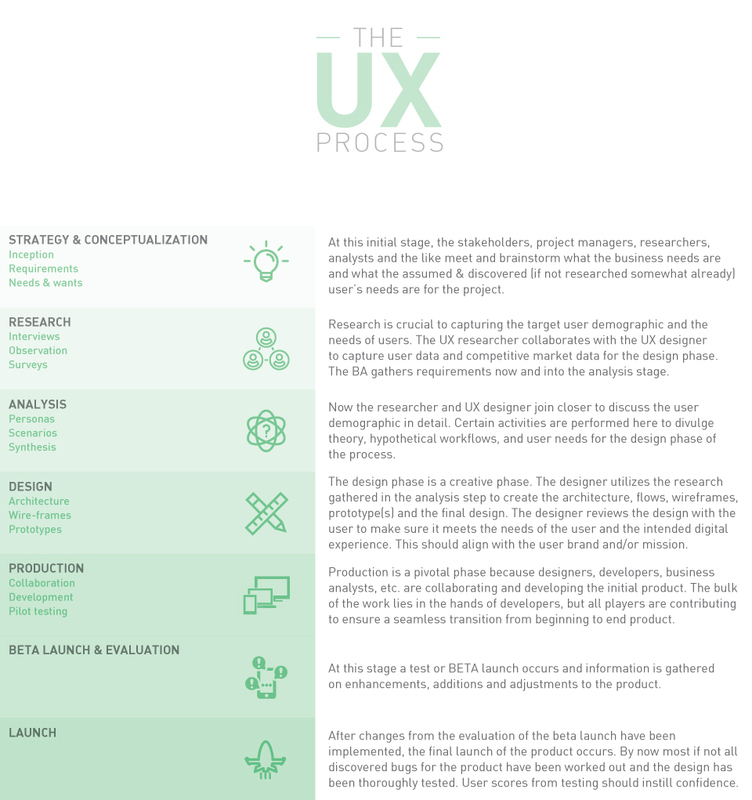 The UX process has a few vital steps that help capture the user’s needs and feedback to create the most optimal experience offering to the customer.